What better way to wrap up a vacation week than to visit to the best car museum in the country? It’s the Lane Motor Museum in Nashville, Tennessee USA , and we spent the day after Thanksgiving there. The Lane Motor Museum was founded in 2003 by Jeff Lane. It initially featured the personal collection of Jeff and Susan Lane, although since that start the museum has grown considerably and actively purchases cars for the collection. The museum is housed in the former Sunbeam bakery, and is interesting in that many of the architectural details of the building have been preserved. 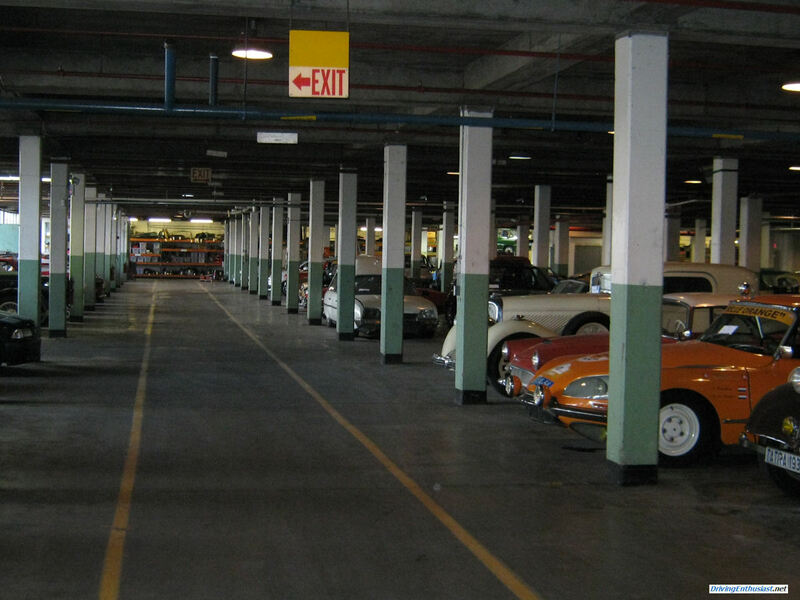 The bakery upstairs is used to house the public display of cars while the former distribution area downstairs is used as a workshop and for storage. We’d toured the museum many times before (gallery of images here), but due to the sheer number of cars available for display, every visit is unique. The museum has well over 300 cars but only has room to display about 100. The rest are stored in an underground workshop and there are also additional cars in varying stages of mechanical work and general freshening. The Lane museum has a philosophy of driving their cars when possible, everything that can be driven is driven. Like us, they understand that cars are made to be driven, not left sitting..
Our post-Thanksgiving visit was a was a special day for the museum: one of only 3 days per year in which they offer demonstrations, give rides in special cars, and conduct tours of their underground workshop. We’d never been in the workshop before and we were simply blown away by everything we saw. We could easily have spent the entire day in the workshop! The special demonstrations were very interesting. For example, in your entire life what opportunity would you ever have to see a propeller car in person, much less to see it started and run? 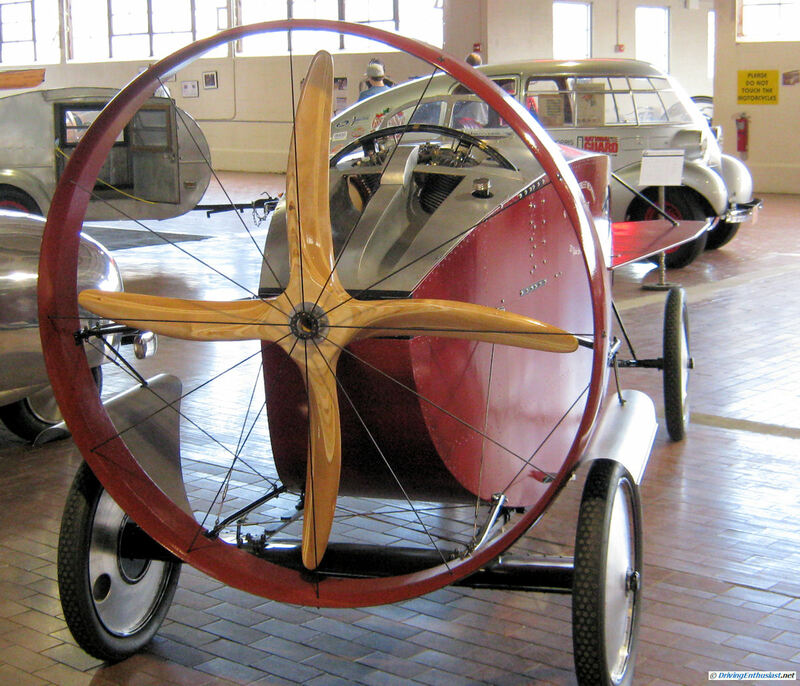 The Lane museum has several propeller cars, likely the largest collection in North America. And if you didn’t already guess, a propeller car uses a propeller to pull the car forward – there are no powered wheels. Needless to say, acceleration is minimal, and pedestrian safety is an “issue”, to say the least – although they will hear you coming well before you are upon them. A complete set of images are in the gallery. In the video below, we see the museum’s replica of a Marcel Leyat Propeller Car started up and run. It actually took about 15 pulls on a starter rope (just like a lawn mower) to get it running, so we’ve cut out a few of those. The entire experience of seeing it started and run was incredible. We’ve seen a lot of collector cars, antiques and classics in the course of our hobby… this ranks as one of the most interesting and unique. Once it starts, listen to the amount of noise it makes. Just imagine driving this going down the street! On this special day, the museum also offered rides in 4 different cars from it’s collection. 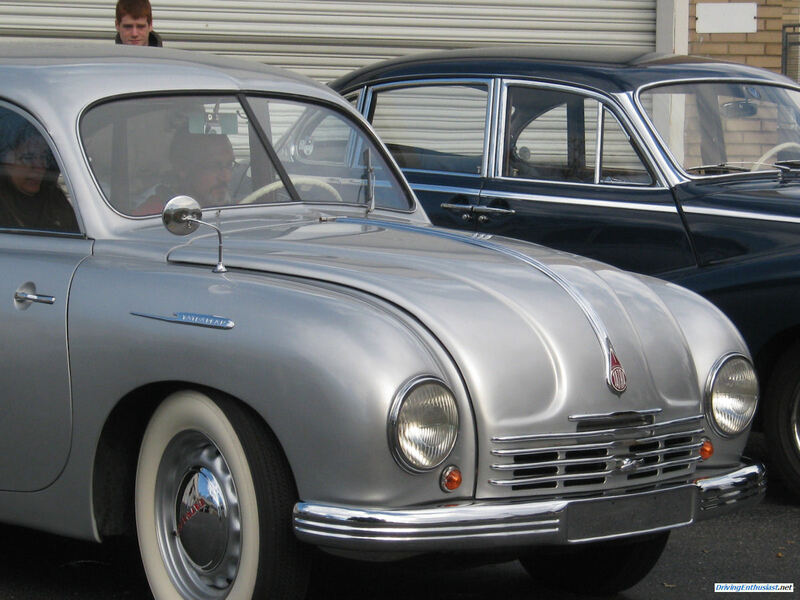 Given our limited time, we chose the 1950 Tatra T600… one of three Tatras in the collection. This car has an air-cooled 1.5 liter flat four, with a manual transmission, single dry plate clutch, and a swing-arm rear suspension – very sophisticated for the day. Because of the engine design, the car had no heater, so winter driving would have been difficult! Given the Czech Communist government of that time, it was more important to export these for much needed capitol, so some examples outside of Europe have survived. Note the blue BMW V-8 powered sedan next to it… that would have been interesting, but not anywhere near as unique as the Tatra. Note the fin going down the back – this is a very original design. The engine cover includes scoops at it’s leading edge to take air to the engine – there is a separate bulkhead between this and the passenger compartment. The driver has to look thru two sets of rear windows to see straight back. 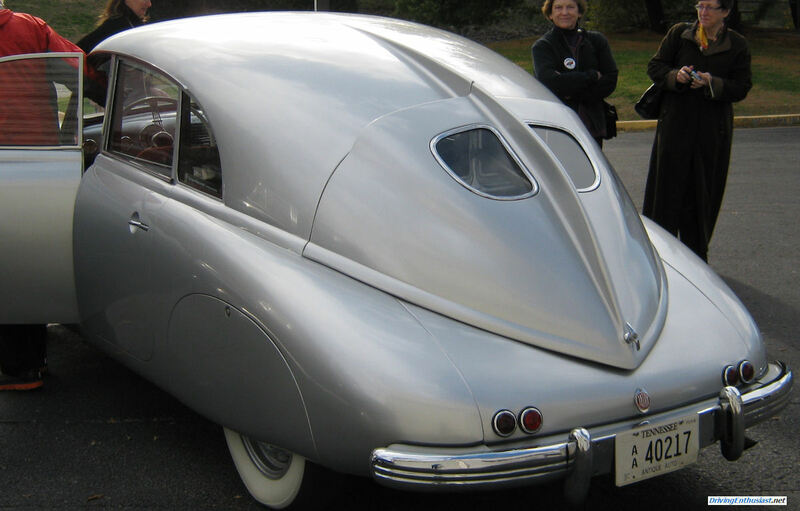 This model of Tatra has a rear-mounted (behind the rear wheels) air-cooled 4 cylinder engine. It’s a reasonably pristine example and worthabout $30k. Mr. Lane himself took us out on the back streets of Nashville for an approximately 10 mile ride. The acceleration was good enough, the ride was smooth, and it appeared that the car could cruise all day at 70 MPH if called upon. A very enjoyable ride! Then there was the tour of the enormous underground workshop. There are enough cars under here to keep you busy for the rest of your life. These photos only show some small sections of it. Cars that are not currently part of the upstairs display are stored here, along with many others in various states of repair. 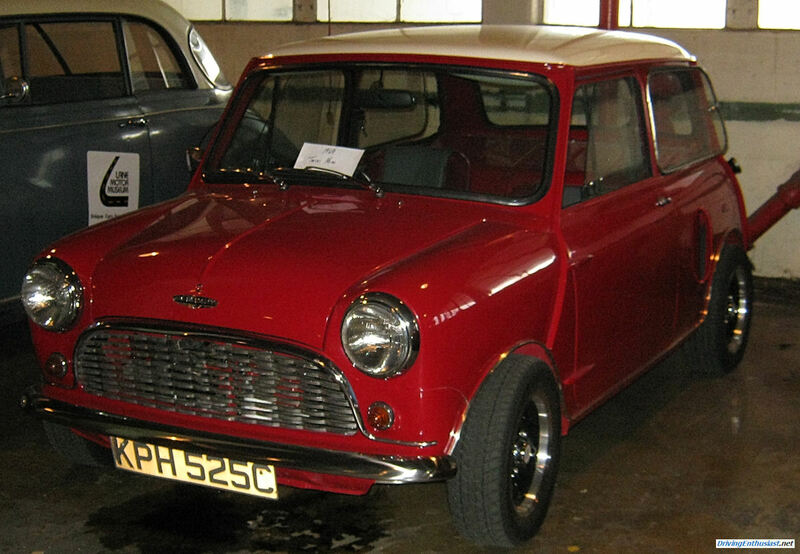 There are any number of unique gems to be seen here (but only 3 times per year), such as this 1969 Twin Mini (engines in both the front and the back!). Note the air scoop on the rear fender. 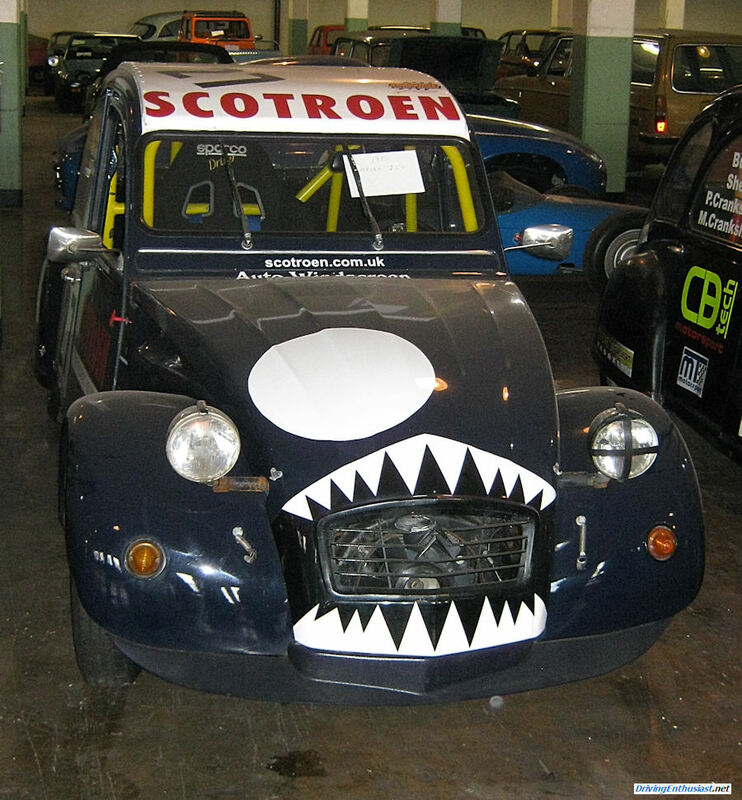 Or a Citroen 2CV race car? There are also two. Imagine encountering one of these on a track day (and pitty the poor instructor)! Then it was back upstairs for one last walk around before we had to leave. 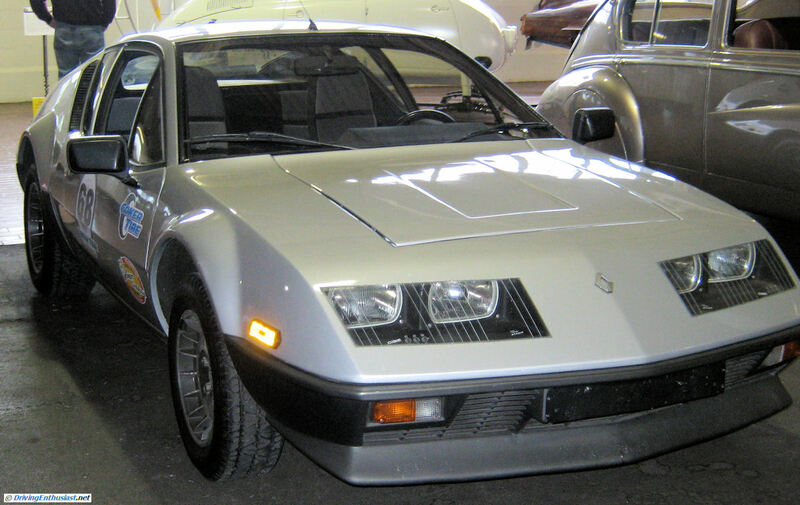 We were pleased to find not one but two Renault Alpines. 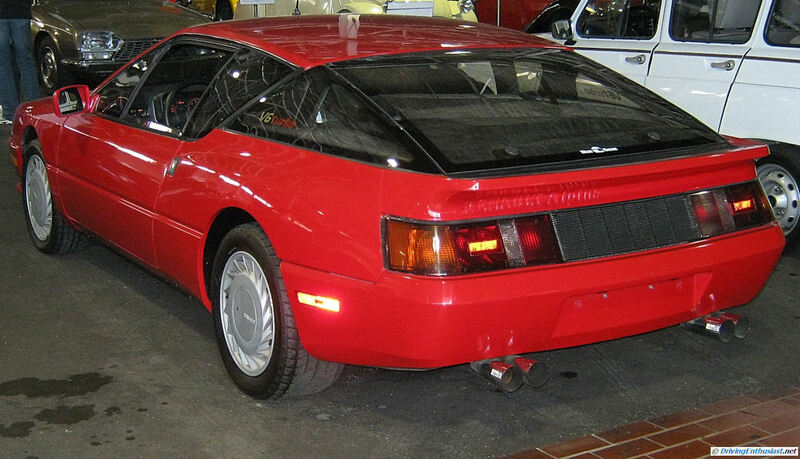 A 1985 Renault Alpine 310 (silver), and a 1986 Renault Alpine GTA Turbo (red). Beautiful cars! 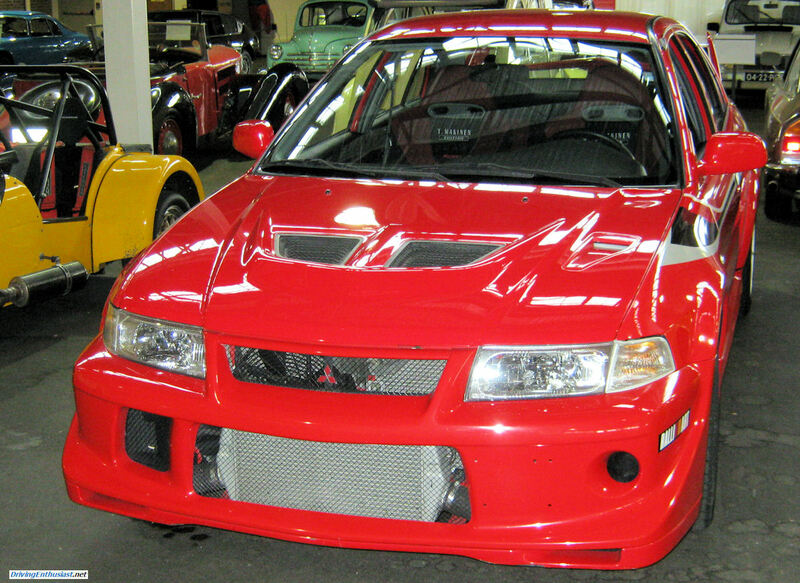 Along with a 2001 Tommy Makinen special edition Evo VI. We’ve seen only one of these before, at a Pro Rally, and this is likely the only one remaining in North America. It reminded us again that Mitsubishi should have brought the Evo into North America right from the start, instead of with the 8th generation. It also reminds us that if Mitsubishi fails, the current 10th generation car will likely be the last Evo ever made. By the end of the day we were suffering from information overload, in a good way. That’s what the Lane museum does with every visit – there is such an incredible number of cars here to see. You’ll also note that none of them are separated by ropes or barricades – you can get close to everything here and the management of the museum is very trusting of it’s visitors. 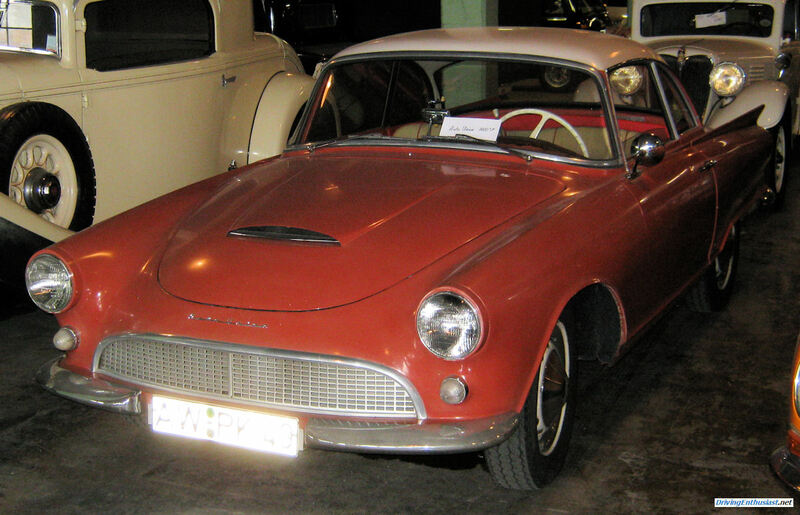 The Lane Motor Museum is a 501(c)3 non-profit organization and needs your support to exist. Please consider joining as a member, even if you cannot regularly visit. It’s important that these kinds of vehicles be preserved and available to the general public. And the Lane museum has done an exemplary job. That’s why we feel this is the #1 museum for car enthusiasts in North America. And if not in shear size, then certainly in approachability. 2014.03.29-30: Lane Motor Museum Mega Visit!